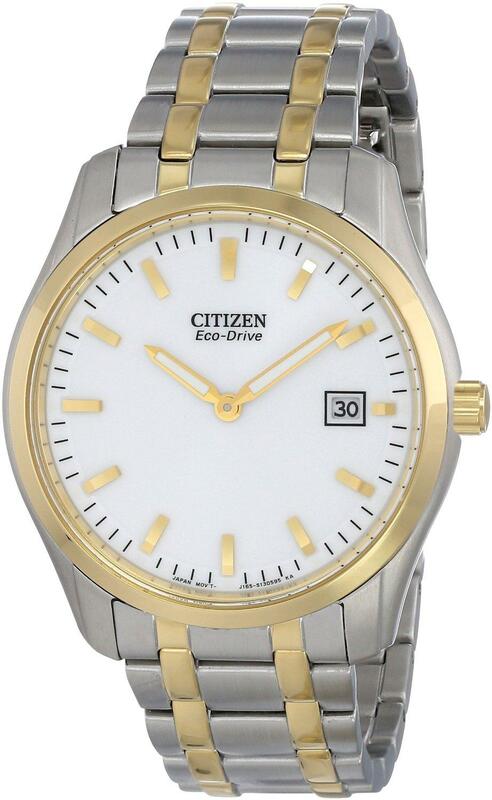 A white dial and yellow-gold-tone accents lend a classic look to this mens dress watch from Citizen. 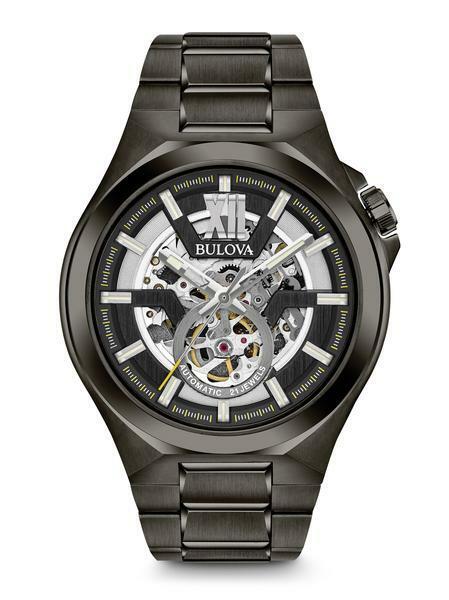 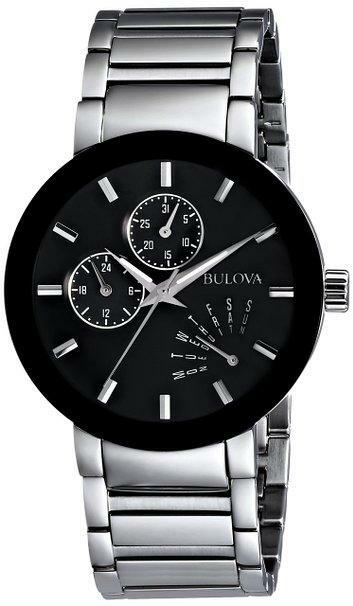 The two-tone stainless steel case and bracelet provide further distinction. 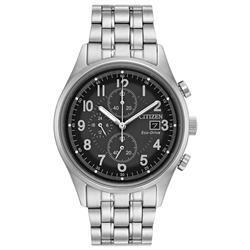 Citizen Eco-Drive is fueled by light, any light, so it never needs a battery.